Our Bowling Strike Award Plaque is the perfect way to acknowledge a great coach or your entire bowling team. 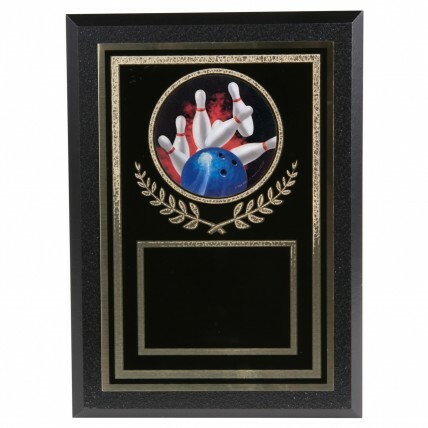 This award features a black plaque with a cove edge. A black brass plate with a gold decorative border and victory wreath is mounted to the plaque. In the middle of the award is a holographic full-color insert of a bowling ball and pins in action. Measures 7" x5".